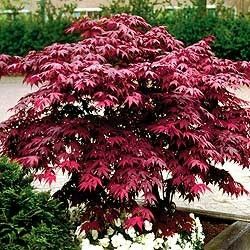 The new color standard for red upright maples. Maintains deep red color even in shady and humid climates. Deeply palmate leaves. Zones 5 to 9.